This paper presents an optimization of surface-mounted permanent magnet synchronous machine (PMSM) based on analytical sub-domain model (ASM) together with differential evolution (DE). A three-phase, 15-slot/10-pole, PMSM is selected in the design with initial motor parameters which have been determined from sizing equations. Five motor parameters are to be optimized i.e. magnet thickness, airgap length, slot-opening width, magnet arc, and stator inner radius. Three objective functions are chosen i.e. to have the lowest total harmonic distortions in the induced phase back-emf, highest output torque and highest efficiency. The optimization of 15-slot/10-pole PMSM is further analyzed by comparing with other optimization algorithms i.e. genetic algorithm (GA), and particle swarm optimization (PSO). From the results, it is observed that PSO has the fastest computing time compared to GA and DE. Whereas, DE is approximately 55% faster than GA. The design work for PMSM can potentially become computationally intelligent without compromising the accuracy. While repetitive changes in motor parameters in finite element modeling could be avoided after applying this Differential Evolution. 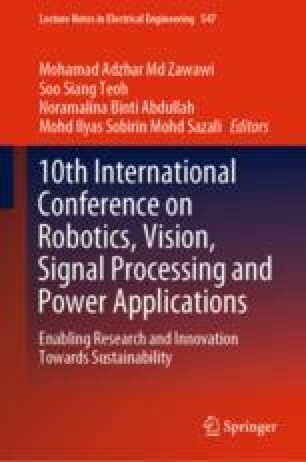 The authors would like to thank Universiti Sains Malaysia and Malaysian Ministry of Higher Education for the financial support under FRGS grant scheme with project number 203/PELECT/6071328.